S. Korea&apos;s economic uncertainty index soars to near 2-year high in Dec.
S. Korea's economic uncertainty index soars to near 2-year high in Dec.
SEOUL, Feb. 6 (Yonhap) -- South Korea's economic uncertainty soared to a near two-year high in December amid clear signs of an economic slowdown at home and abroad, data showed Wednesday. 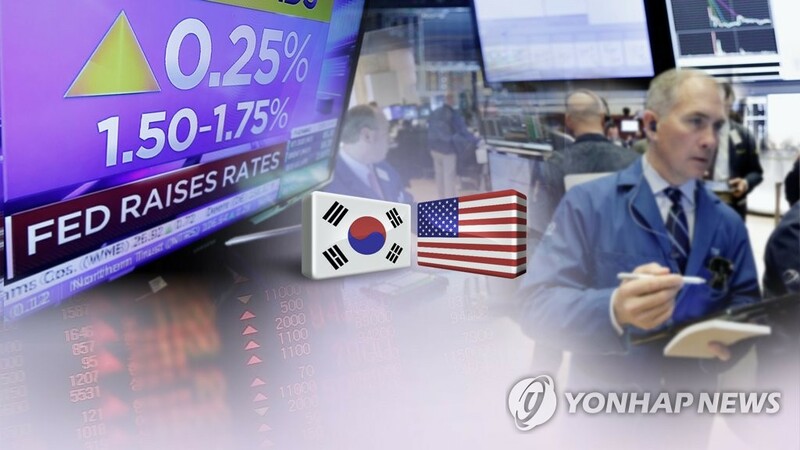 The economic policy uncertainty (EPU) index for South Korea reached 243.03 in December last year, up sharply from 203.24 the previous month, according to the data by the EPU homepage. It marked the highest level since February 2017, when the index hit 299.67 in the midst of the impeachment of former President Park Geun-hye. The number skyrocketed to a record 391.79 in January 2017, the highest ever since the operator started to compile such data in 1990. The EPU is designed to gauge economic uncertainty over economic policies that affect gross domestic development growth. The index is measured by news mentions of terms that suggest economic and policy uncertainties, tax code revisions and disagreement among economic forecasters. "We find that an increase in economic policy uncertainty as measured by our index foreshadows a decline in economic growth and employment in the following months," according to the EPU site. Experts said decreasing exports, the key economic driver of Asia's fourth-largest economy, fueled uncertainty over economic policies and the economy itself amid protracted trade disputes between China and the United States. The two countries are South Korea's No. 1 and 2 trade partners, respectively. South Korea's exports fell 1.3 percent in December and 5.8 percent in January due mainly to a cooldown in global memory chip demand and falling oil prices. Concerns over a downturn in the global economy also weigh heavily on the exports-oriented economy. Also, a sharp drop in construction and facility investment and sluggish employment drew a gloomy forecast for the country's economy. Bank of Korea (BOK) Gov. Lee Ju-yeol earlier said that the South Korean economy will face tougher headwinds in the new year. "We suffered from heightened uncertainties last year stemming from the U.S.-China trade row, U.S. rate hikes and financial jitters in emerging countries," he said. "This year we may continue to experience such difficulties as the world economy will enter a downside cycle."